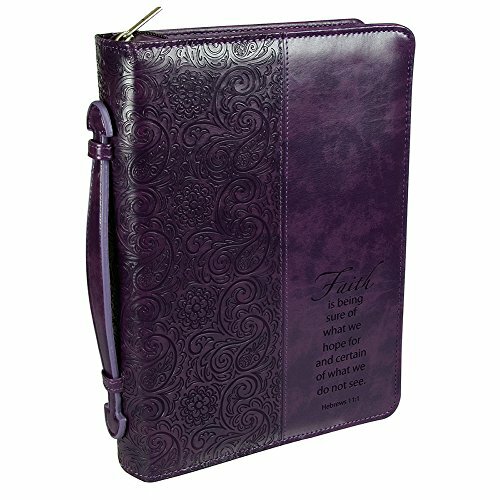 This popular Bible / Book Cover features a debossed filigree design on the back, spine and partial front, and Scripture from Hebrews 11:1, “Faith is being sure of what we hope for and certain of what we do not see.” The rich purple Bible / book cover is constructed of quality man-made material imported from Italy, with the look and feel of real leather (trade name LuxLeather). 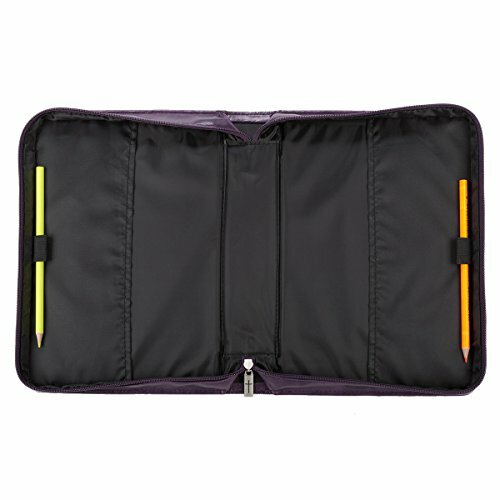 There is an exterior zipper with a cross engraved zipper-pull, a convenient lay-flat spine handle and 2 pen loops inside. The Large size comfortably holds all popular Bibles such as The New Spirit-Filled Bible, The Life Application Study Bibles and the NIV Study Bible, as well as many other books and Bibles that measure up to 9.50 x 6.75 x 2.25 inches. 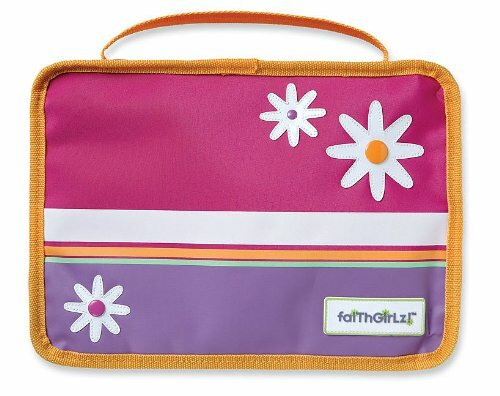 The Medium size accommodates Bibles such as The Holy Bible, NLT Reference Editions, Daily Study Bible for Women and The Life Application Bible – Personal size, or other books and Bibles that measure up to 8.875 x 6.50 x 1.75 inches.